Longmont Colorado Shower Enclosures | Colorado Glass Solutions, Inc.
Are you tired of moving the shower curtain in and out whenever you want to take a shower or bath? 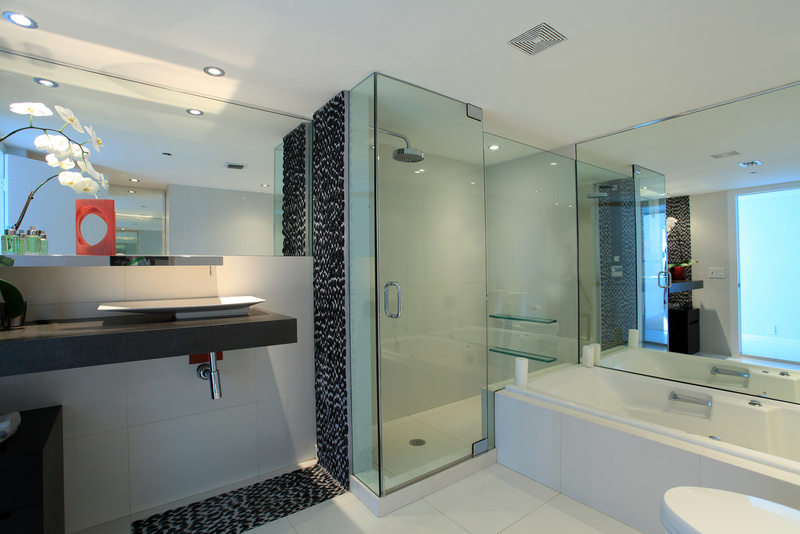 Installing a glass door or wall as a tub enclosure is not only more convenient but also much more aesthetically pleasing. 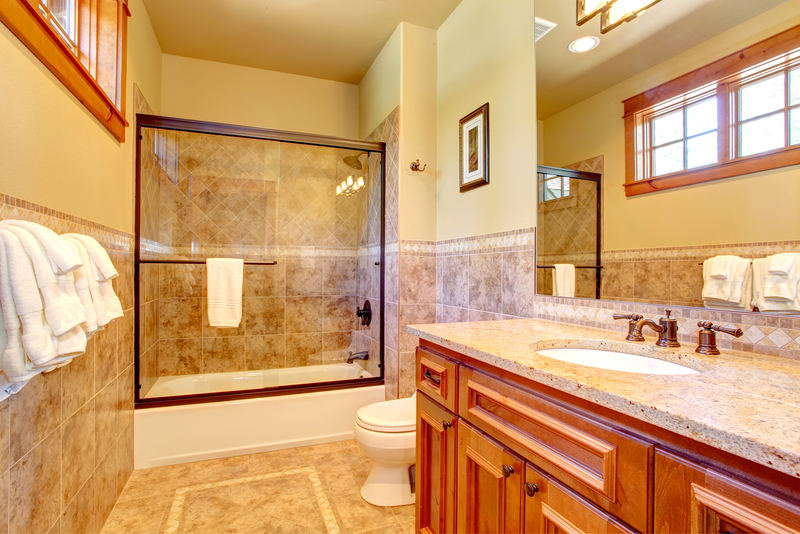 The professionals at Colorado Glass Solutions in Longmont are very knowledgeable on all types of tub enclosures to help in your purchasing decision, and they also have the experience to install it seamlessly. Door Type: Sliding, or bypass, doors make the most sense if your bathroom is tight on space and you want the entire area enclosed. If you are comfortable with the area at the end remaining open, a short glass wall or pivoting doors are also available. Pivot doors are usually curved at the top and hinged to a stationary glass panel attached to the wall. They provide a bit more coverage than just a glass wall, and eliminate the potential challenge of cleaning between overlapping panels. Frame Type: If an unobstructed, sleek aesthetic is your top priority, then frameless enclosures are the best option. However, semi-frameless and framed enclosures come in a wide variety of styles and finishes that may also provide the simple look you desire, and at a much lower cost. Glass Style: To add some textural interest, and/or privacy, there are many types of patterned glass to choose from, such as etched, frosted, pebbled and rain. Handle Style: Another consideration to take into account is whether you’d prefer the minimal hardware of a knob or vertical grip, or the convenience of a horizontal handle. Finish: If you decide to go with a framed or semi-frameless door, then you will probably want to match the finish to the other hardware in your bathroom. Options for finishes include chrome, nickel, bronze, brass, gold and even white! Replacing your shower curtain with a glass tub enclosure will instantly add elegance to your bathroom, and is a feature that future buyers would be sure to notice. If you are ready to transform your bathroom with a new tub enclosure, the experts at Colorado Glass Solutions in Longmont would be glad to discuss your options, and help with installation. Call us today to get started with this simple yet impressive home update! A well-designed bathroom feels like a retreat and a beautiful shower plays a key part in creating that relaxing environment. The place where you begin most days should be an area where you enjoy spending time and step out of with a feeling of rejuvenation. Colorado Glass Solutions in Longmont have installed countless shower enclosures and specialize in helping homeowners design the best solution for their space. Regardless of whether you choose a frameless or framed enclosure, it is important to consult with a professional installer at the beginning of a remodeling project. When designing a new shower, pre-planning is critical to prevent leaks and keep mold from developing. It is also essential to plan how the panels will be installed, as some fastening systems are hidden inside the tiling to create the illusion of floating glass. Another practical consideration to take into account during the initial planning stages is whether to include a door or leave that space open for an unobstructed entry. Perhaps the best reason to work with a glass specialist is the creative design possibilities! Besides being able to make the glass in any size and shape, the thickness and texture can also be customized to enhance privacy or add an artistic element to your space. To showcase your individual style, be it contemporary or traditional, custom glass can be made to reflect the personal touches you’ve added to the rest of your home. To start envisioning your own luxurious, spa-like bathroom, click here for a short list of our custom finishes. And if you’re ready for a new shower enclosure, or just have questions, please give us a call at Colorado Glass Solutions- we’d love to help create the bathroom of your dreams! Colorado Glass Solutions, Inc., located in Longmont, Colorado, specializes in shower enclosures, commercial store fronts as well as all of your residential glass needs. We have over 10 years of experience in the glass industry and are planning on many more to come. Over the years we have had the opportunity to work on some great projects and really see a space come into focus. We have had the opportunity to work with some very amazing people. As a service provider we strive to be the very best in the industry. We are always reevaluating our process and the current styles to give our clients the absolute best options to choose from. The type and style of glass can really dictate the space and look you are going for in your project. We have plenty of options to choose from and a great selection of glass options. Make sure to include us early in the project because we have some really impressive things we can do with glass. We make sure to go over all the details to ensure that you are getting the best bang for your buck. All of our service providers are knowledgeable and professional. Colorado Glass is here to help with all your glass shop needs. We offer free estimates as well as customize service options. We are here to help with all of your glass shop needs in Longmont and the Front Range. Our customers can easily visit our location as we are conveniently located right off of I-25 in Longmont. You can also reach us on our website at www.colorado-glass.com or phone number at 303-774-8775. As glass experts, we want to provide you with excellent service at a fair price. It our goal to to give you exactly what you are looking for in your project.